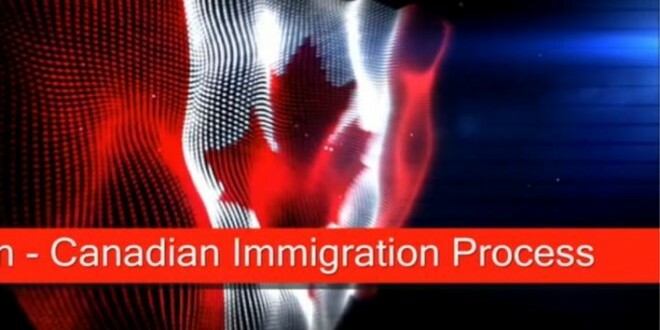 The Process Adventure Immigration Services Inc. Step 1. Once clients decide to retain our services, we jointly agree and sign off on a Retainer Agreement. The agreement consists, very broadly, of our mutual obligations to each other towards meeting the client’s objective, the scope of work we commit to and the fee and disbursements that would apply for acting on the client’s behalf. Step 2. Immediately after, we ship out a package to the client containing immigration forms along with a guidance letter and a checklist of other supporting documents, together with formats for affidavits required from the client for the preparation of the case. Step 3. Entails a diligent review and scrutiny of the client’s application and developing a submission strategy to best ‘market’ your profile. Preparing and submitting a comprehensive submission report to the Immigration Officers at Citizenship and Immigration Canada to emphasize why your application should be considered favourably. The submission would also make a compelling argument for the officer to exercise his discretion in your favour should your situation be borderline. The Canada Visa Office will acknowledge receipt of the Canada Immigration Application and may request more documents. Our submissions are based on the immigration legislative and regulatory frameworks and are developed solely to indicate to the visa officer as to how our client meets / or would meet the requirements for permanent resident status. Selection Criteria factors are then translated per requirements in a way that best matches the client’s qualifications and prior experience to the available immigration programs /streams based on the eligibility factors and occupational classifications. What this does is to assure best point scores thereby optimizing success. We cannot underscore enough the contribution of the submission report towards the success of an application. If relevant, we will attach a copy of our Assessment of your Skills and Qualifications outlining to Citizenship and Immigration Canada the number of points you scored and the reasons why you should be accepted as a Landed Immigrant. Provide expert counselling on documentation of application and supporting information together with scrutinizing and itemizing all the required documents with appropriate translations wherever required. We may, as we often do, request you for supplementary documents and submit them to strengthen your case. Ensure that we submit your application to the processing center in a time efficient manner. Advise you of the correct Landing Fee and the Processing Fee’s and ensure the same is properly completed and enclosed. Ensure that the photographs submitted are of correct size as specified by Citizenship and Immigration Canada. Direct you to the accredited Language Testing institutions per immigration eligibility requirements. Step 5. After you application is ‘locked-in’, we track the status of the approvals process and remain prepared to expeditiously respond to and address, on your behalf, any Citizenship and Immigration Canada questions/ clarifications. We will represent your best interests when communicating and monitoring your application with Immigration Officers as and when required. If you are a Business category applicant, preparation for an exploratory visit to Canada. We prepare our clients thoroughly for the interview with the Immigration authorities, since we have complete knowledge about the subject. Step 7. Citizenship and Immigration Canada’s green light to take the Medical Examination usually signifies an ‘approval in principle’, pending the result of the examination and background/security checks. We work with you to provide all relevant information and next steps. Step 8. Upon receipt of your visa/landing papers, we assist you with complying with the conditions of landing imposed on your landing papers and visas. The immigrant visa will bear an expiration date and the client must arrive in Canada prior to the expiration date to become landed. We are always available to answer your questions or address your concerns both during and after the immigration process. However, should the application be refused, we will work with you to appeal the refusal at the appropriate level.